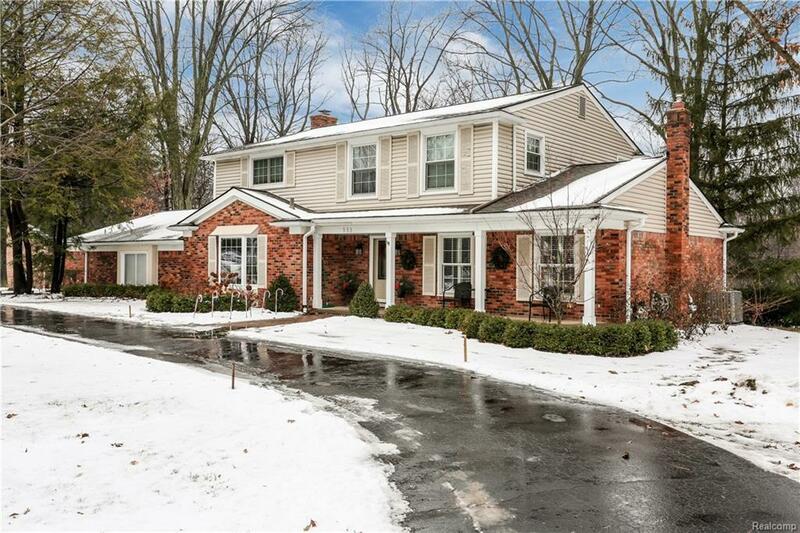 Newly updated Bloomfield Hills residence on over three-quarters of an acre in the highly sought after Whitehall neighborhood. Enjoy a flowing open concept floor plan is perfect for entertaining and holidays. Gorgeous expansive kitchen featuring upgraded stainless steel appliances, granite counters, recessed lighting, an abundance of cabinetry and storage, and bay window with views of the wooded backyard. Relax in the beautiful family room with brick fireplace and triple-wide doorwall to the deck. Convenient updated main level laundry facility / mudroom. The private master suite showcases a stunning and stylishly updated marble bathroom with therapeutic steam shower. Completely renovated walkout lower level with a 5th bedroom option, full bathroom, and living space. Newer updates and finishes throughout include marble and hardwood flooring, quartz and granite counters, electrical, air conditioner, furnace, hot water, heater, roof, professional landscaping and outdoor lighting.